Layer up in style with this chunky jumper. 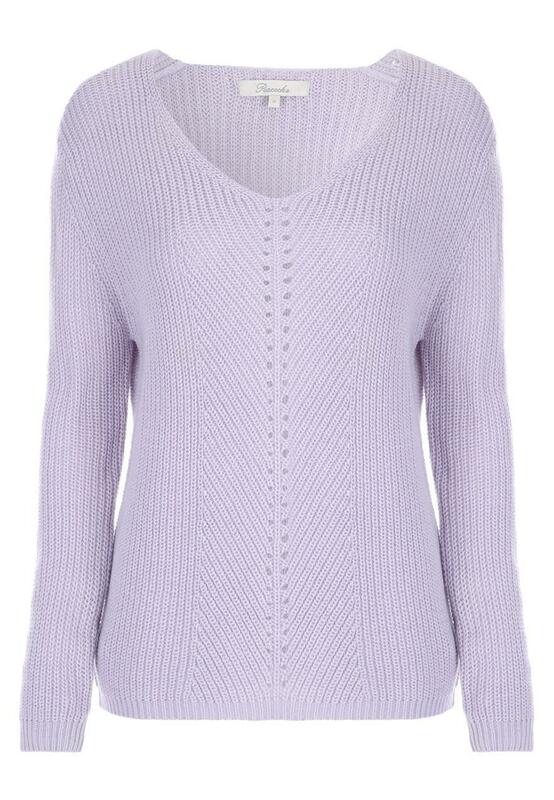 In an on-trend lilac featuring long sleeves, an all over ribbed knit and a v-neckline, it's perfect for colder days out. Went baggy the 2nd time I wore it. Exactly as described. Very pleased.